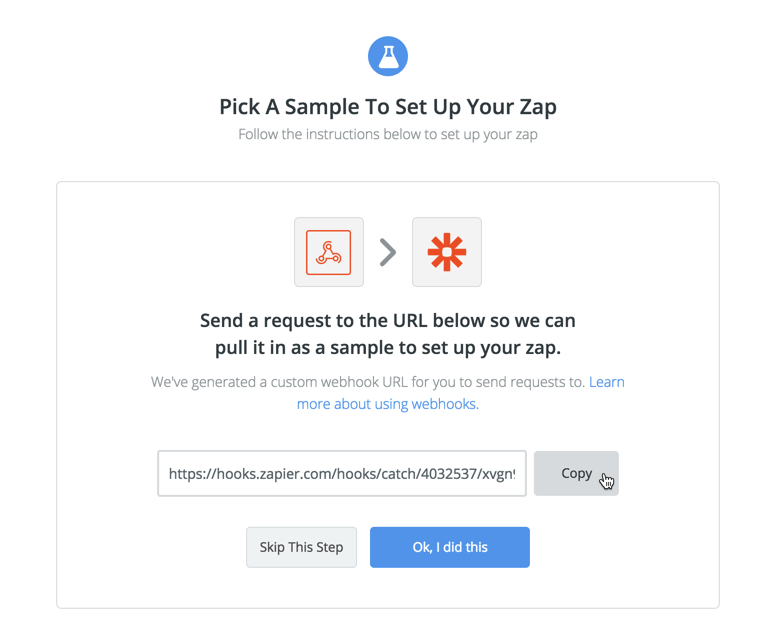 Then Zapier provides an URL. 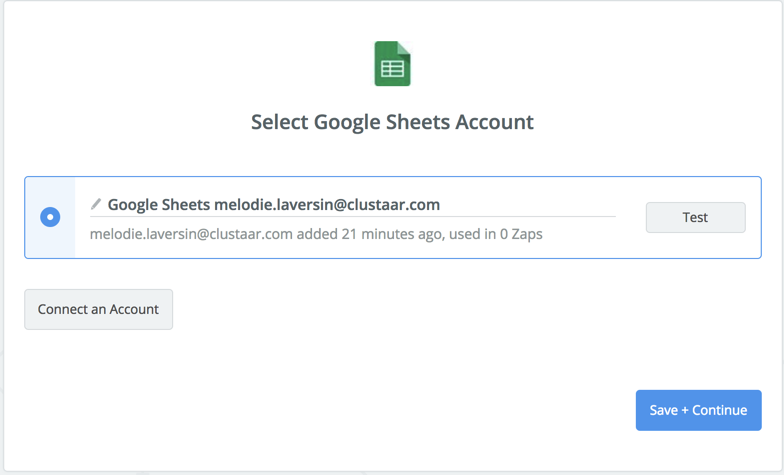 Copy this URL to enter it in your Clustaar app, to allow Clustaar to send the information needed to Zapier. 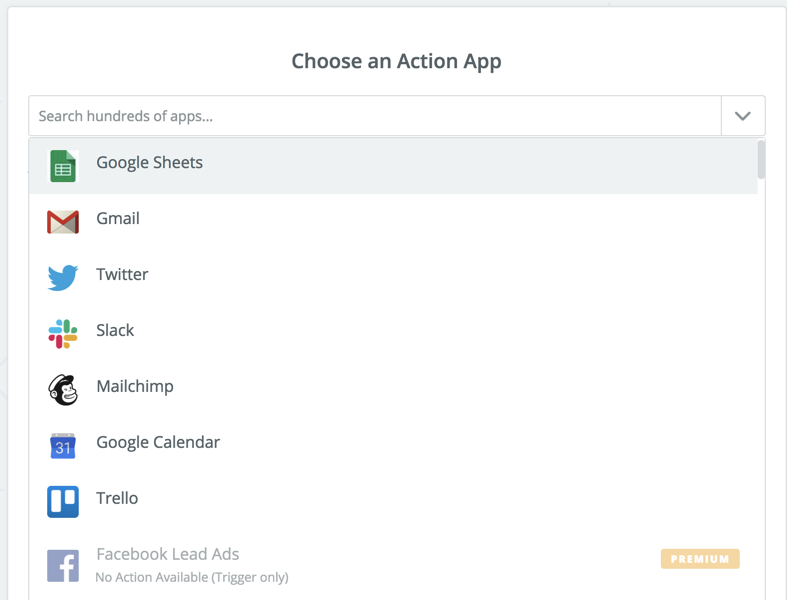 Zapier integration action is on the action panel of your step, in the "Integrations" part. 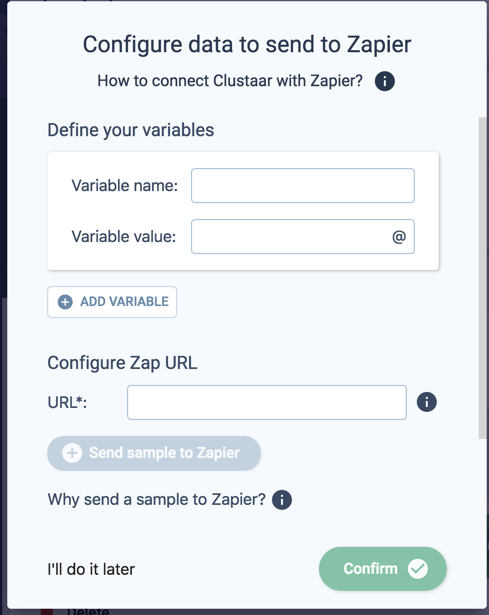 "Define your variables": to define the variables you want to be sent to Zapier. - Variable value: The value taken by your variable. 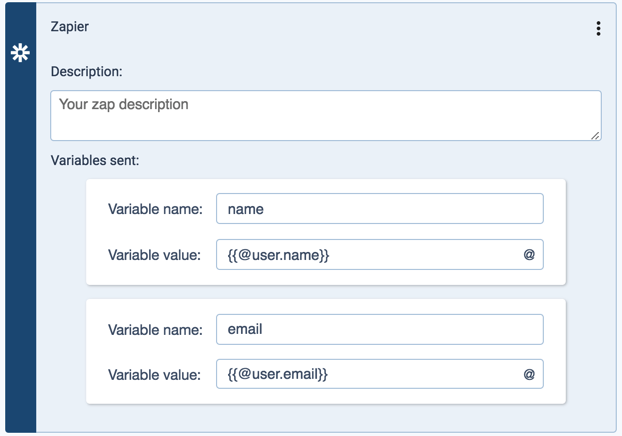 It can be a session value or a user attribute. 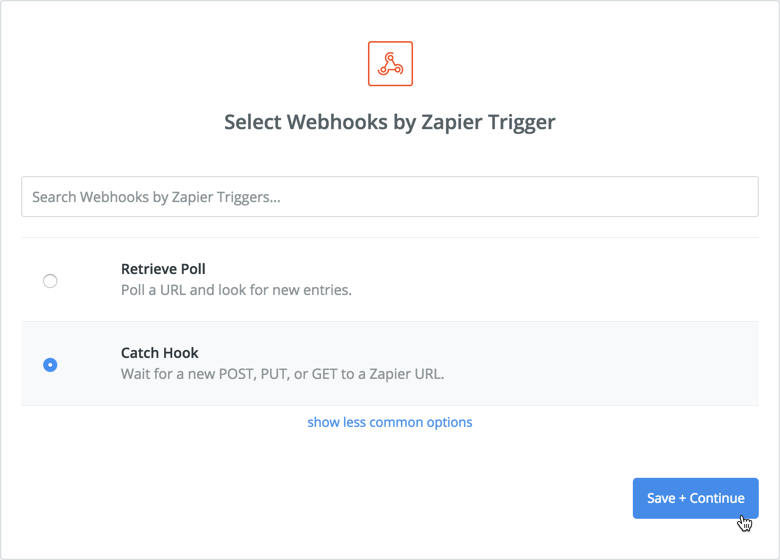 - URL: URL provided by Zapier during Webhook configuration - mandatory. 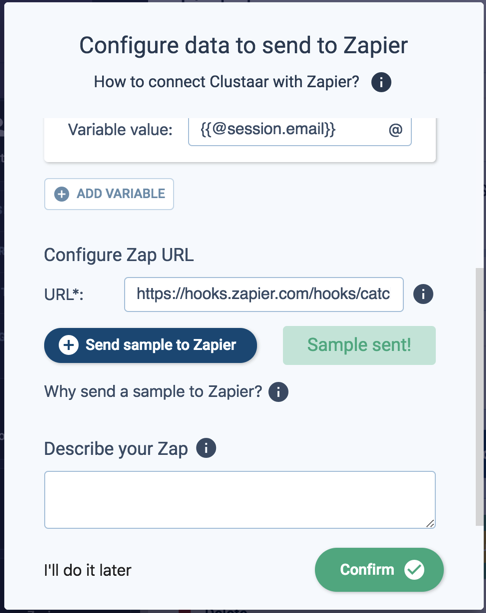 Here you can describe your Zap, to have a good visibility on each Zap purpose in case you have several integrations with Zapier in your bot. 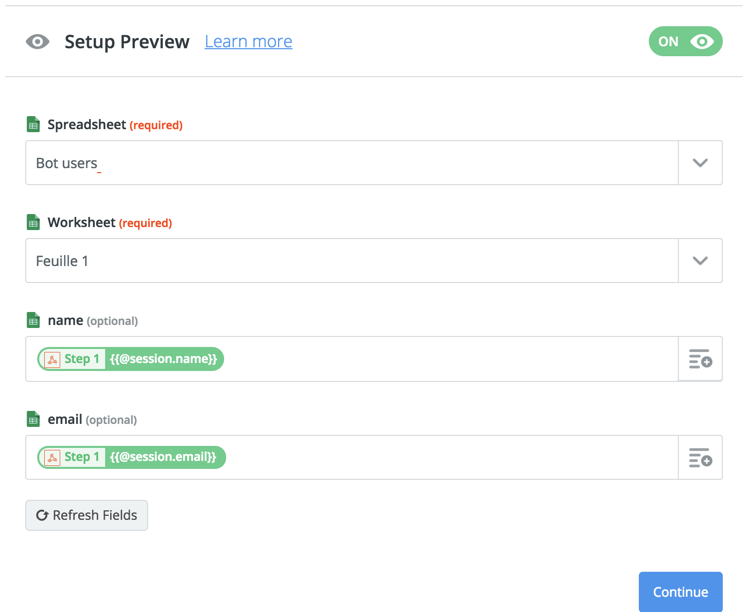 Once this is done, you can click on "Confirm" to save your configuration parameters. 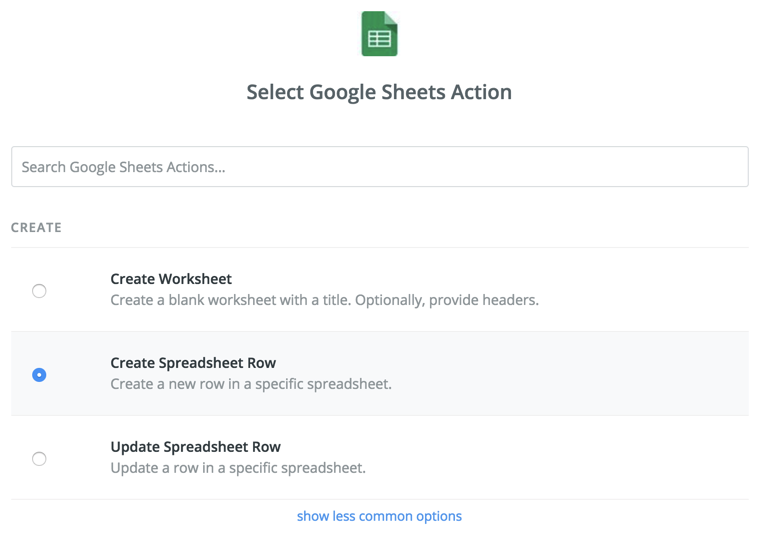 The action appears in the step panel with the description and variables displayed. 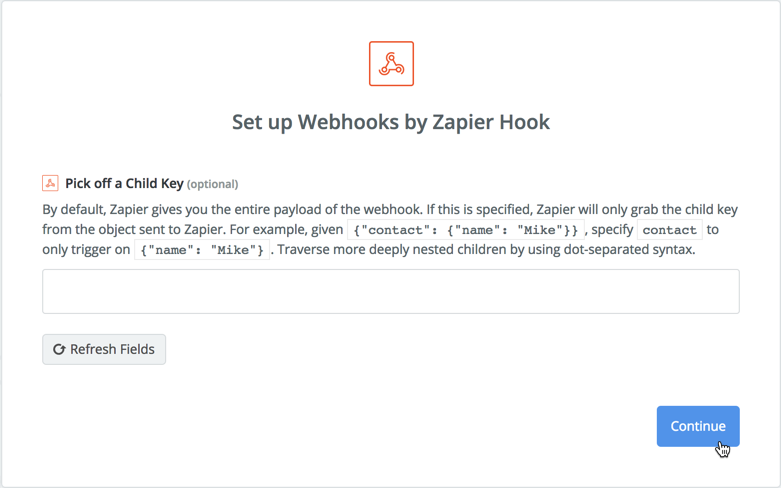 You then have to come back on Zapier to finish setting up your Zap. 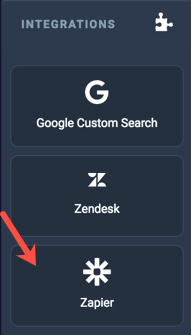 All you need to do at this point is to set your "Action App", which will be the app receiving the information from Clustaar. 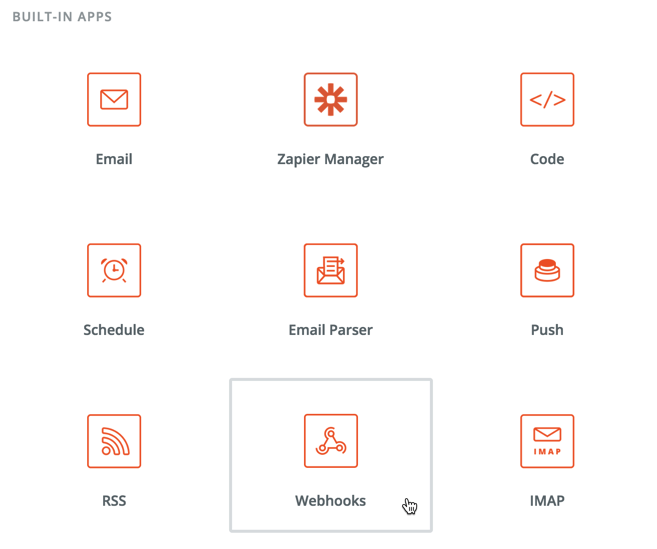 You can choose any app among those proposed by Zapier. 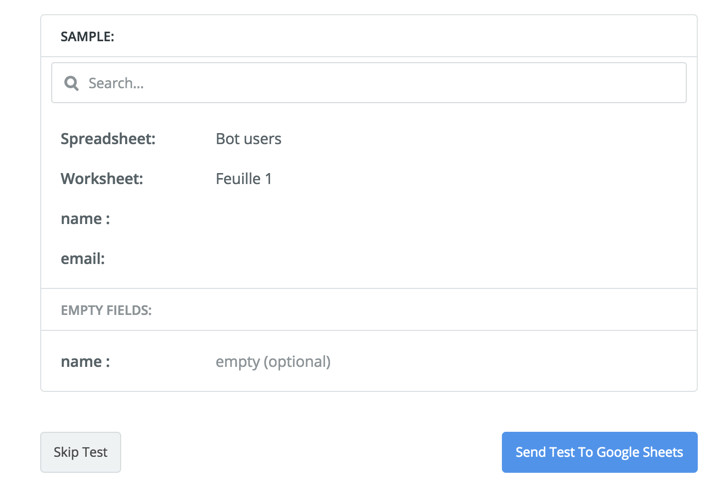 For this example, we will create a new Google Sheets row for each user with the information recovered during his conversation with the bot (name and email). 6. 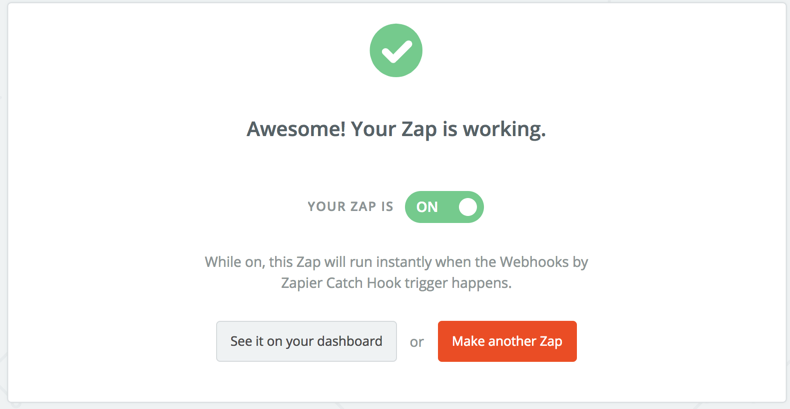 Last but not least, do not forget to put your Zap "ON"!